Seeing it for the first time can confuse you, especially if you have recently looked at a marble slab such as the ones we import. It has those beautiful veins and a lush look that may be stunning. You may think it has to be marble, but it isn’t. It’s quartzite. You may be surprised at the wide variance in stone colors with names like Super White Quartzite, Classic White Quartzite, Cirrus White Quartzite, and Snow Crystal Quartzite. These are mostly white stones but let’s not discount the others that are available. You will find that some have more colorful patterns like Fantasy Brown quartzite, Emerald Quartzite Dark quartzite, and Old Hall Azul Macaubas quartzite. 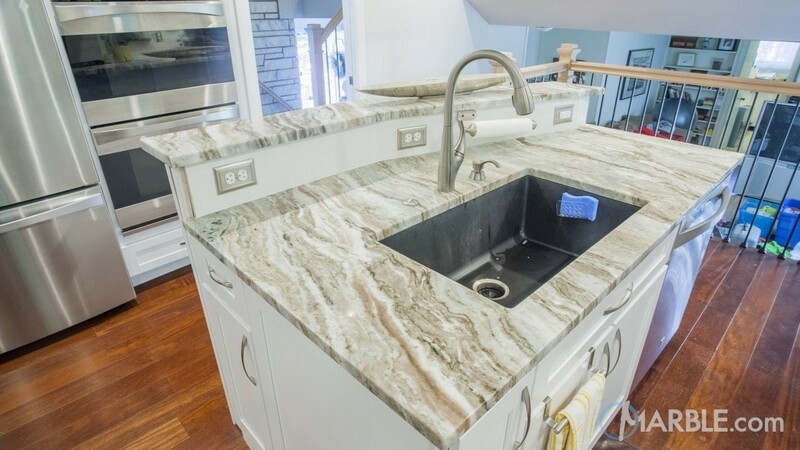 Whether you opt for white quartzite or the darker, more dramatically veined quartzite, the beauty of the stone as a quartzite countertop will steal your heart. While mimicking white marble in its beauty, it is a harder, less porous stone. It’s tougher, requires less maintenance, and doesn’t stain or etch as easily. Do not confuse the two similar sounding names of quartzite and quartz. Quartz is a man made engineered stone, and quartzite is a natural stone. Quartzite is a natural stone that was once sandstone. The earth heated it and placed immense pressure on it. The combination of heat and pressure yielded a stone that is not just beautiful, but tough also. Not all quartzite mimics marble in its color. After all, marble is derived from limestone, not sandstone. In fact, those mimicking quartzite are mainly of the whiter variety, although not limited entirely to that end of the spectrum. Here are a few that fit the bill. Let’s start with Super White Quartzite. It has a wonderful white base the light grey veining. 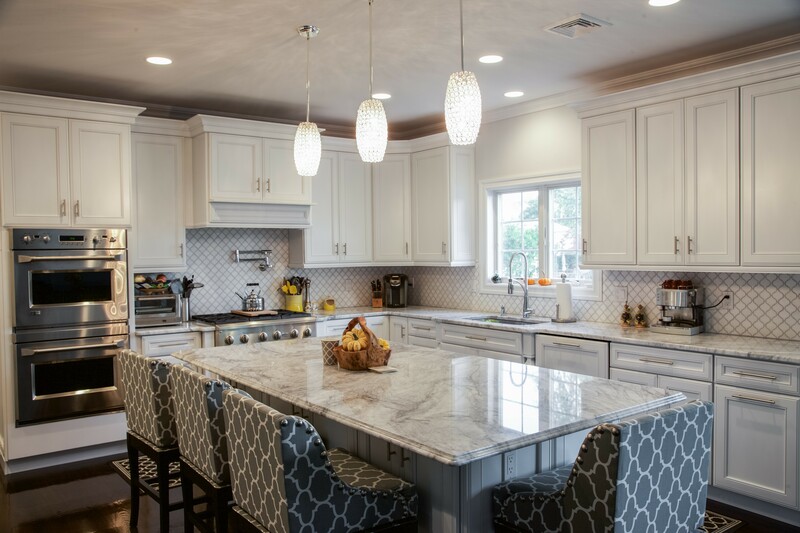 This white stone goes well with dark colored cabinetry creating an offset of contrasting color to your kitchen. Of course, if your customer loves a clean look, going with all white will provide a nice, bright, and clean look. Classic White quartzite is, of course, similar to the Super White Quartzite but contrary to what the names imply, Classic White Quartzite is lighter in color. Tt provides a great foundation for almost any color combination in your kitchen or bathroom. If you like a sterile clean look, Classic White Quartzite will be perfect for your remodel. Cirrus White Quartzite is aptly named since it brings to mind those fluffy white clouds of a bright summer day. It is one of the lightest stone colors and has less veining than others. As stated before, if you like that white foundation, you will find it goes well with all metal finishes like stainless steel and brass, for example, while still maintaining that sterile look. The last stone color I will talk about in quartzite that mimics marble stone colors is the also aptly named Snow Crystal Quartzite. Appearing as pure as Snow White herself, with very light veining. Snow Crystal Quartzite is the embodiment of a conundrum. It appears soft and delicate but since it is quartzite, it is still a tough natural stone. Without the contrast of deep veining it can be used in almost any design style. I can almost hear you asking what the downside to quartzite might be. It may be hard, but it is a natural stone and as such it is still porous. It isn’t as porous as marble though, but it still needs the occasional sealing. 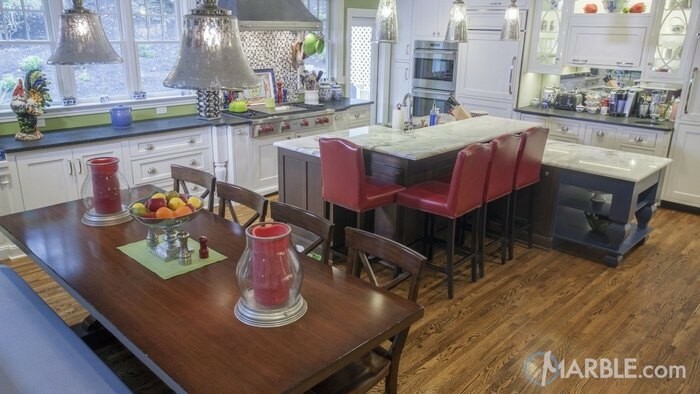 Mr.Stone provides the best product for all you countertop needs. Also, remember each slab is different, and varies in its veining and depth of color, so it’s important that you visit a slab yard to see the stones up close.